You could make the argument that those of us working outside and with animals have greater connections with those animals and the land than those who simply play outside (i.e., outdoor recreationalists). We horse owners, therefore, might well be happy consumers of clothing made by a company prioritizing good treatment of land and animals (an idea that the industry sometimes calls ‘ethical clothing’). We might also welcome a fresh alternative to the same-ol’, same-ol’ from century-old clothing companies like Dickies, Wrangler, and Carhartt. Earlier this month, Patagonia unveiled its WorkWear line. The clothing is made with a blend of Iron Forge hemp, organic cotton, and recycled polyester. 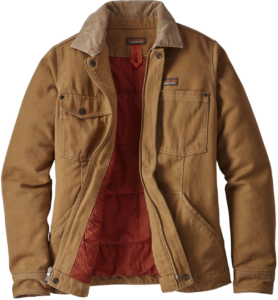 In tests, the fabric was 25 percent tougher than the cotton duck canvas in Carhartt jackets. 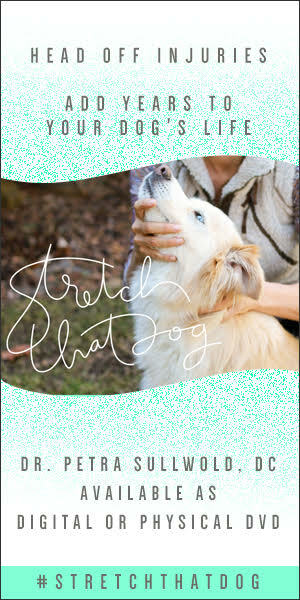 Yet it’s deceivingly soft and doesn’t require that “Forgive me while I walk around in a cardboard box” break-in period. WorkWear, like all Patagonia products, comes with researchable background information on how its production impacted the planet and the people who made it. Some say the company’s Footprint Chronicles are leading the entire industry to be more sustainable, accountable, and transparent. “Iron Forge” is a reference to the smithing done by Patagonia founder Yvon Chouinard and his rock climbing comrades back when his fledgling company was literally forging climbing equipment in a tin shed (now called the “Tin Shed”) in Ventura, California. Thankfully, the women’s WorkWear line is not simply the men’s version recut with wider hips and added pink buttons. The Iron Forge Hemp Canvas Barn Coat is tough, warm, and more feminine than typical barn coats. It comes in Coriander Brown, a warm, yellow-brown with cream stitching and is lined with Thermogreen insulation and silky, deep orange polyester. There are five pockets, including an inside, zipped chest pocket for valuables. Hemp blend sheds hay, shavings, etc. 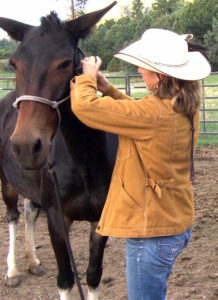 Hem length is not too short that drafts come up your backside, not too long to for riding, mucking stalls, shoveling, etc. Falls at the hip. Two distinct snap closures at the sleeve mean you can pull sleeves over or off your wrist depending on your needs (using a hand tool or covering your wrists for warmth). 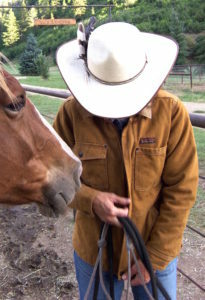 Read more about Patagonia’s outfitting the Best Horse Practices Summit outfitting here. Posted in BestHorsePractices Summit, gear, Reviews and Links and tagged iron forge hemp, patagonia barn coat, yvon chouinard. The Lost Arrow Piton. Blacksmithing skills. It changed rock climbing. Today, Lost Arrow is his holding company.